“I have re-read this book 1,000 times. It just makes me feel great." Kelcie Pegher, college student. "Quite simply, I love Dexter. " Iona Shield, reader. "She writes some of the most reliably realistic girls in fiction. Although romance is always part of the plot, friendships and family are always considered as important." Ciara O'Shea, future librarian. This is Sarah Dessen first appearance in the top ten of the Top 100 YA novels and seventh appearance in total (out of nine published titles). 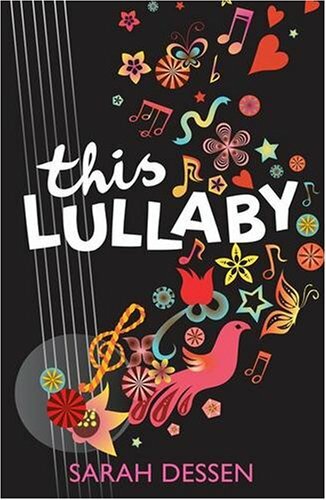 This Lullaby and its protagonist, Remy, was a departure for the author as previously she has written from a quieter, more introspective teen perspective. This Lullaby has an ardent group of Dexter followers and has prompted many of fans to call out ‘Hate Spinnerbait’ (in joke.) This novel was awarded the 2005 South Carolina Book Award Nominee for Young Adult Book Award. BEST SARAH DESSEN BOOK, AND DEXTER IS THE BEST DESSON BOY. And by Desson I mean "Dessen." Obvs. I haven't read this. I'll have to check it out now! LOVE this book. It's right up there next to The Truth About Forever in my favourites list. I agree with everyone. My FAVORITE Sarah Dessen book. Best Sarah Dessen book HANDS DOWN. So so glad this made it into the top ten list, and HOLLA to the UK cover baby!! it's gracing my bookshelf in style!